« Thank goodness – it’s Friday – This is the photo post! 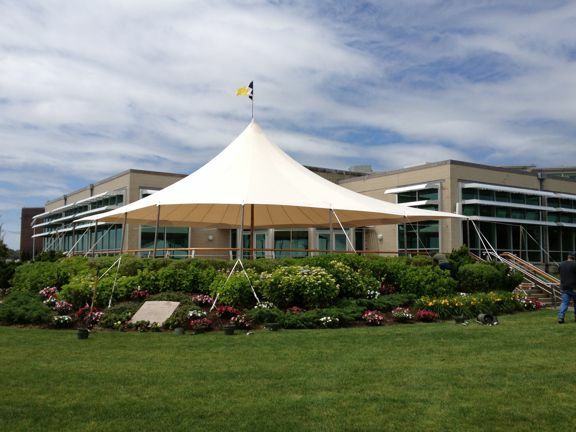 This spring we built and installed a new Custom Canopy for the Mass Maritime Academy in Buzzards Bay, MA. 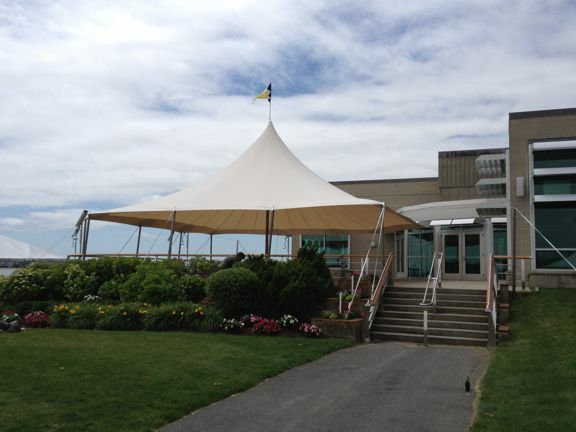 It was our pleasure to provide a new sailcloth canopy for such a prestigious center for nautical education. The tent replaces an older model they had commissioned with us that had been used for a number of years. This tent will be used for graduation, as well as many other events on the campus. 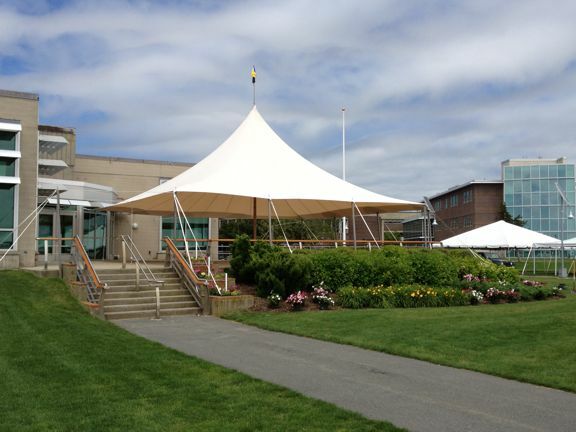 With their long sea-faring history, it is only fitting that Mass Maritime use one of our signature Sailcloth tents for special events on campus. On the Academy’s Homepage, they have a beautiful photo of the campus where you can see our tent off to the left. We are delighted that they enjoy our tent and get so much use from it. If you’re interested in a custom canopy of your own, please give us a call at 774.849.3505. Our spring schedule is filling up fast, and we are thrilled to have a busy winter ahead of us! This entry was posted in Canopies, Project Spotlight. Bookmark the permalink.